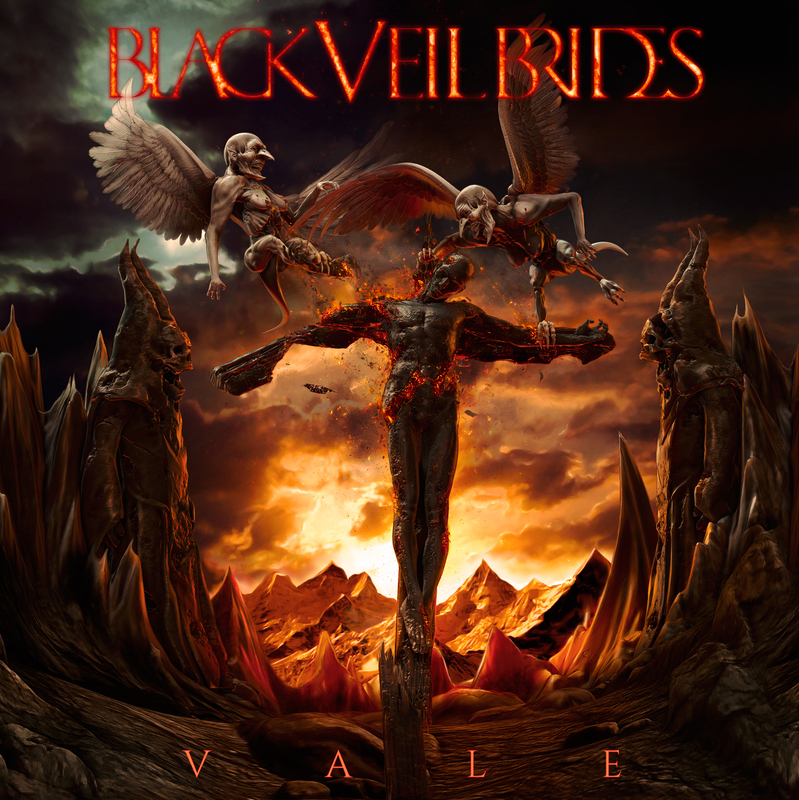 Black Veil Brides New Album “Vale” Review! I was finally received my signed copy of Vale in the mail! I wanted to take a while to sit down and enjoy it before I wrote anything about it. I have to say I am very pleased. Black Veil Brides have once again exceeded my expectations. I can tell from this new album that even though there following along with the continuing story of “The Wild Ones” it also has taken on a new sound for them. The intro to some of the songs (for example: The Last One, When They Call My Name, ect) has a different tone that I have never heard before and has not been in previous albums. Of course Black Veil Brides has always had a recognizable sound to them, but there Is something new here. I genuinely wanted to sit down and review this album and give my realist thoughts. One of my favorite songs from this album has to be “The King Of Pain”. Its one of those songs that you want on every Black Veil Brides album. Although I did wish for at least one song like “Lost It All” from the “Wretched and Divine: The Story Of The Wild Ones” album released in 2013. A slower toned song like that really brings on a emotional effect to the album. Non the less this album still has my star of approval. The last thing I would like to say for today is to remind everyone to go on Social Media and wish Ashley Purdy a big HAPPY BIRTHDAY!! He turns 34 today (I believe). Thank You again for the followers and continuous support for my WordPress article and my BVB communities. Black Veil Brides has a amazing group of dedicated fans. Leave a comment and tell me what your favorite song was. Reminder Black Veil Brides Updates has a FB Page, Google+ has a group and a Black Veil Brides is a separate one on Google+. You can follow me on Twitter @McKennaBoyer, Instagram: @beyond_the_fallen and Snapchat: @Kennergirl . Please do me the favor and not blow the chats all up. I do not respond to haters.